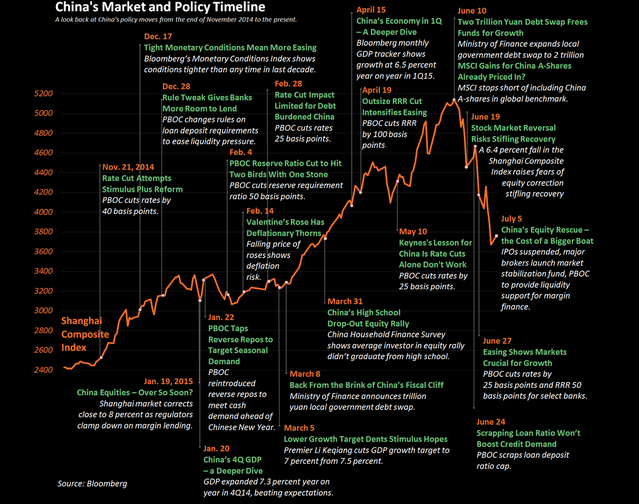 What’s Going on in China? 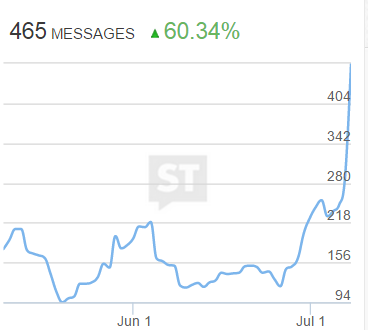 | Energy and Gold Ltd.
Judging by media coverage and social media message volume we are in the throes of a full on market panic. One which is being led by margin calls and forced selling. While there is no way to know for certain when the last margin calls will be done, we probably aren’t too far away from a tradable rally after a ~35% decline in less than a month. It’s safe to say that a major top was put in place last month, however, even dead cats bounce a little after hitting the ground. The 3200-3400 price zone on the Shanghai Composite is a reasonable area of potential support from which a rally could begin. North American traders could use the leveraged exchange traded fund YINN to trade any potential relief rally over the coming days. 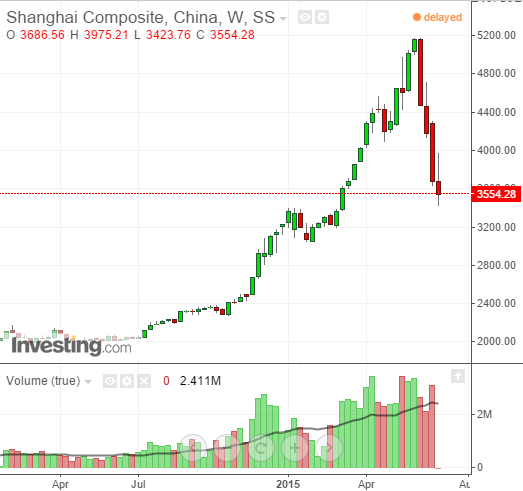 A standard post-crash oversold relief rally typically retraces anywhere between 35-50% of the decline which makes the 4000-4400 area a solid upside dead-cat bounce target depending upon which level Shanghai ultimately finds support.